Create her dream proposal with the preset engagement ring that is as unique as she is. 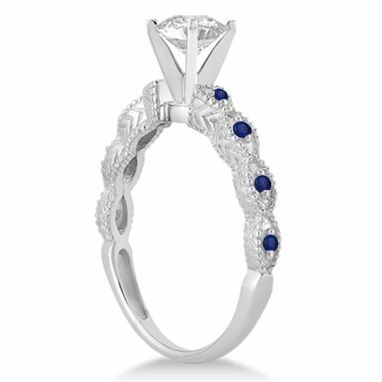 This vintage style proposal ring features a carefully selected conflict free diamond center with 8 blue sapphires pave set into its marquise shaped shank. 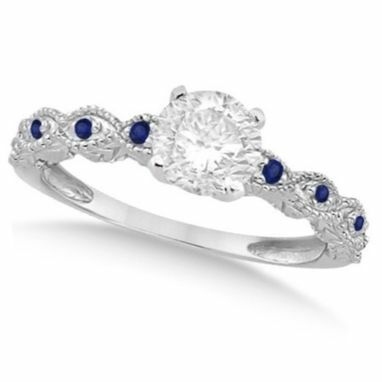 Set in 14k white gold, this antique inspired diamond and blue sapphire engagement ring with approximately one half carat of light and fire is sure to please.